What if the MH370 flew north and landed safely on a Russian airstrip in Kazakhstan? Of course it’s a wild theory. It’s also a great yarn, with just enough data points to sound plausible. Mais si l’avion n’est pas au fond de l’océan Indien, où est-il ? Pour certains, il ne s’agit plus d’affiner des calculs déjà suraffinés, mais bien de remettre en cause la démarche tout entière. Se peut-il qu’une partie des données Inmarsat aient été trafiquées ? C’est la thèse du journaliste américain Jeff Wise qui vient de publier un livre numérique The Plane That Was not There (« L’avion qui n’était pas là »). Il propose un scénario dans lequel les « vraies fausses » informations d’Inmarsat ne sont là que pour faire diversion, alors que les vrais coupables sont les deux Ukrainiens et le Russe qui étaient assis à l’avant de l’avion et dont les passeports sont les seuls à ne pas avoir été vérifiés par leurs autorités nationales respectives. Le Groupe indépendant a immédiatement exclu Jeff Wise. Judging by his observations about MH17 and Russia, Wise has clearly fallen victim to what psychologists call confirmation bias – a tendency to see and interpret information in a way that confirms one’s preconceptions. However, almost the entire mainstream press in the West suffers from this when it comes to Russia – prompting several commentators to dub the phenomenon ‘Putin Derangement Syndrome.’ Witness the recent announcement by a “Pentagon think-tank” that Vladimir Putin is supposedly autistic, dutifully reported as fact. Now it seems Jeff Wise’s fantasy is due for the same treatment. Jeff Wise, a U.S. science writer who spearheaded CNN’s coverage of the Boeing 777-200E, has based his outlandish theory on pings that the plane gave off for seven hours after it went missing… However Wise admits in New York Magazine that he does not know why Vladimir Putin would want to steal a plane full of people and that his idea is somewhat ‘crazy’. The Independent Group (IG), comprised of around a dozen satellite, data, maths and aviation experts, expelled Wise this week following articles linked to his book. “It’s a bunch of garbage,” said New Zealand-based IG member Duncan Steel. Of course, because nothing to do with MH370 is ever simple, one of the Independent Group’s members, science writer and CNN aviation analyst Jeff Wise, recently wrote an article for New York magazine that laid out an alternative scenario, where MH370 might have flown north and landed at a remote runway in Kazakhstan. He called it his pet theory on MH370 and claims it fits the available data as well as any other. 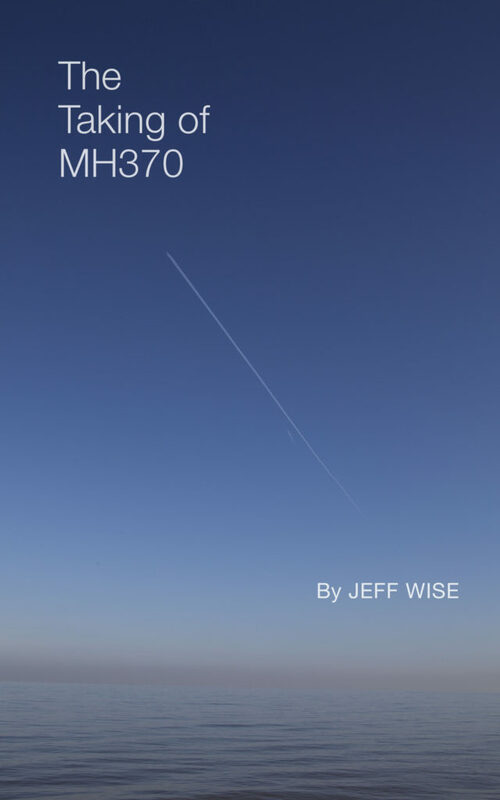 Now, a far-out theory from one of CNN’s chief commentators on the aviation disaster, science journalist Jeff Wise, has been circulated worldwide — and has more credibility than you might think. Others who have examined the hypothesis regard it as fanciful. Aviation expert Sylvia Wrigley, who wrote her own book on MH370, said no aircraft had previously been tracked using Inmarsat’s BFO data. “The idea that it was even possible was a major revelation, even to Inmarsat,” she wrote. Therefore, the notion that hijackers would deliberately falsify the data in order to lead investigators on a wild goose chase was “crazy” and “inconceivably sophisticated”, she said. Les gens qui défendent des théories du complot cherchent habituellement à vous persuader à tout prix qu’ils détiennent la vérité. Jeff Wise est un autre type de personnage. Le pilote et journaliste scientifique américain a été l’un de ceux qui ont le plus commenté la disparition de l’avion MH370 depuis un an. Et il vient de lancer une thèse particulièrement controversée, celle voulant que l’avion ait été dérouté par des Russes, qui l’auraient fait atterrir… au Kazakhstan. La théorie, on s’en doute, a été accueillie avec beaucoup de scepticisme, incluant par son propre auteur. hello StevanG. I actually was in agreement with your posting, just wanted to correct this minor tidbit. BTW, how did you catch my reply so quickly (within 3 minutes), especially since the thread had stopped 5 days earlier ? Is there a reply notification function or a RSS feed for comments or how come you were aware in real time ? During a trip throughout Malaysia last year I came across some local and somewhat agitated small talk about why China has been overly quiet, in best cases resilient or vague on the topic. That’s all. I am not racist or have any purpose in discriminating by any bias. Nor do I want to troll. Just throwing in a locally opinionated and perhaps ignorant comment. Feel free to let this slide…. Previous Previous post: What Was Going On at Yubileyniy? Next Next post: New York: How Crazy Am I to Think I Actually Know Where That Malaysia Airlines Plane Is?